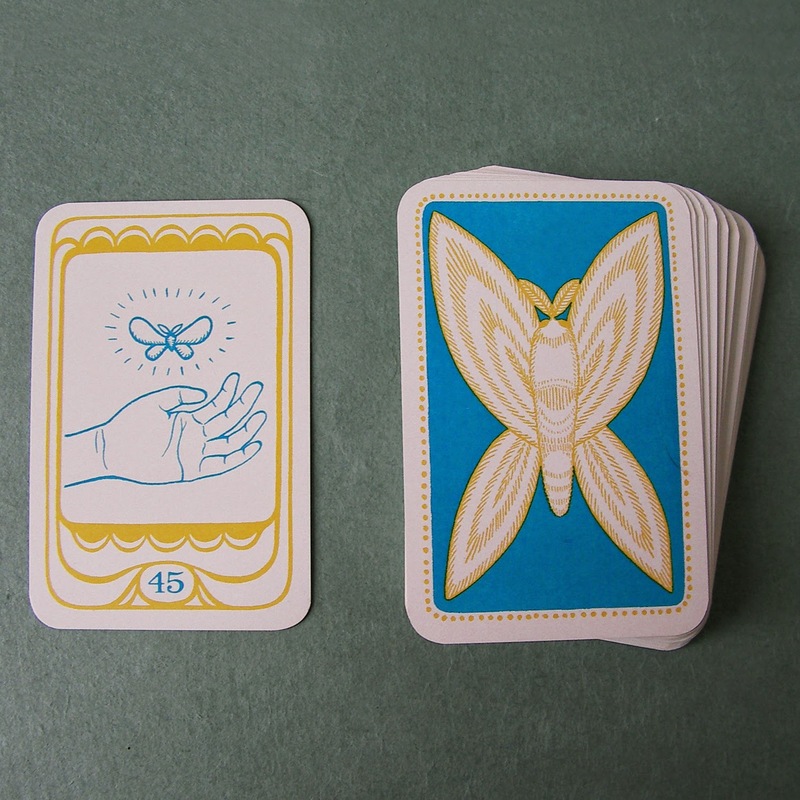 Golden Moth Giveaway + Shop Sale Through December 14th! I just finished listing them in my Etsy shop, Sprout Head, and this time around there are a few different purchasing options. 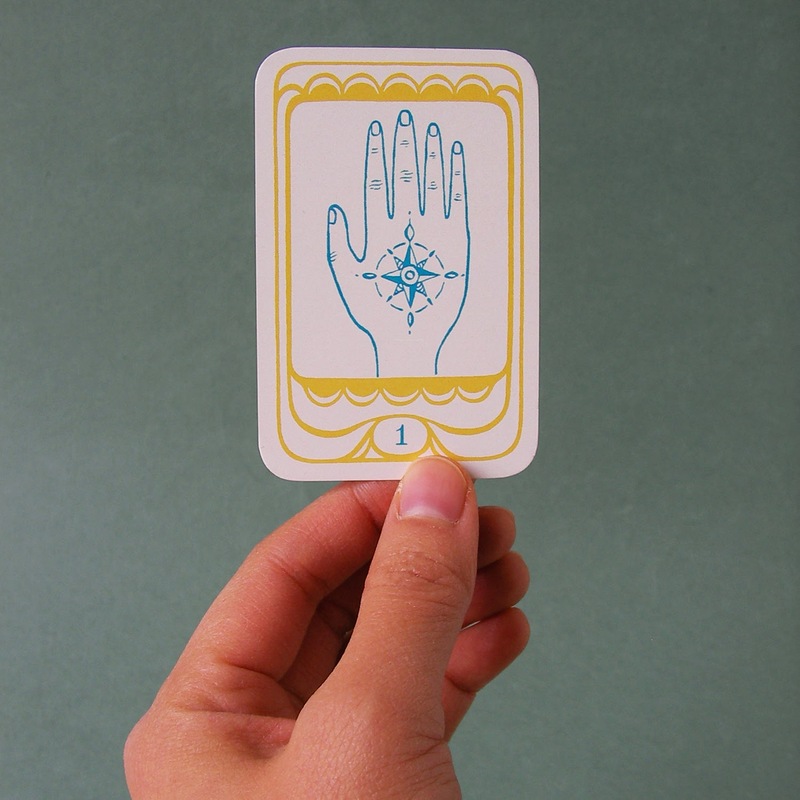 You can now buy the deck separately from the handbook. 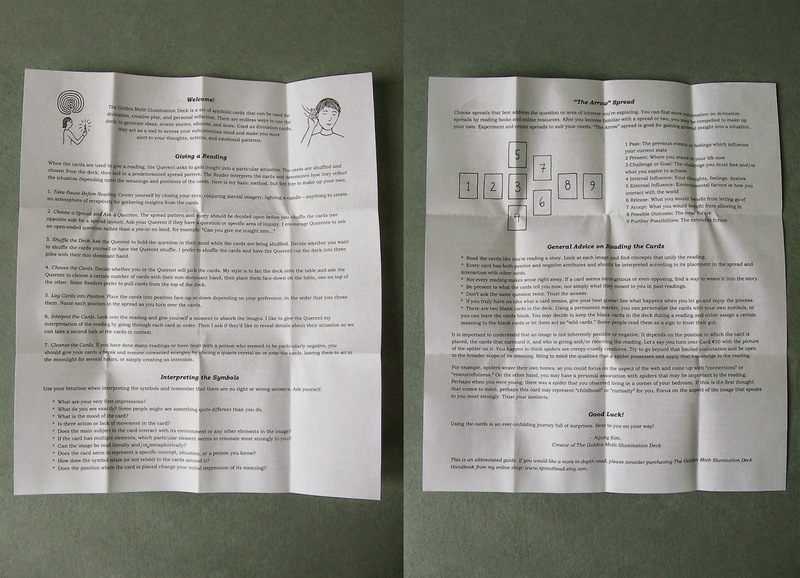 If you buy just the deck, it comes with a brief fold-out information guide to get you started on using the cards. 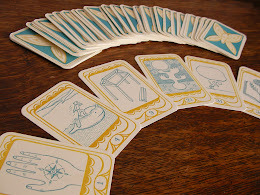 This guide gives advice on how to give a reading and interpret the cards and shows you one spread layout. It does not include individual symbol interpretations. If you want that, you'll have to purchase the handbook. 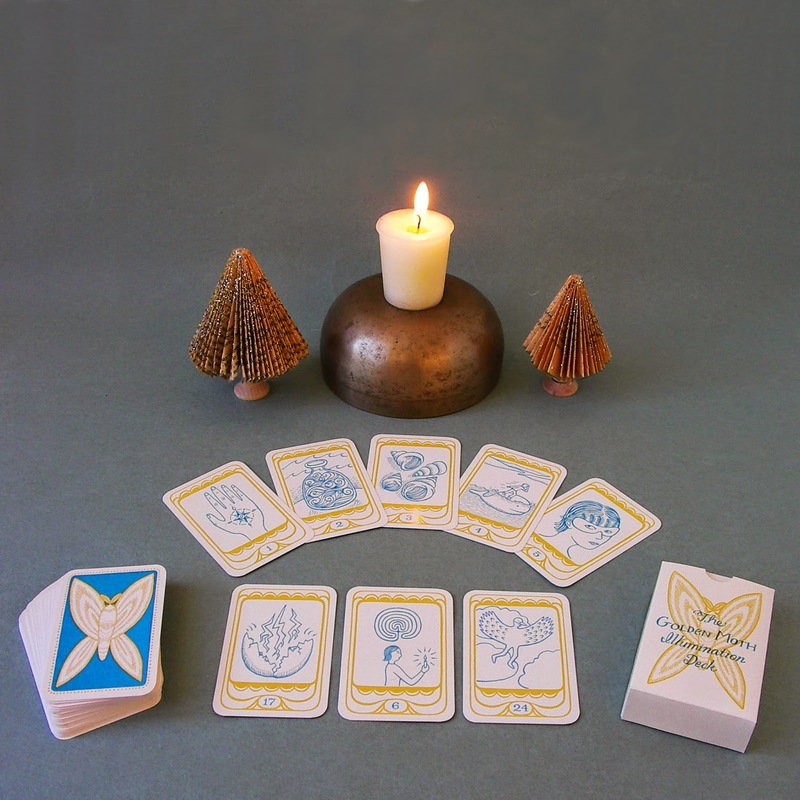 It contains all the information from the first handbook that I published, but it is updated with individual card interpretations. It comes as a hard copy and a PDF version. If you purchase the hard copy of the handbook alone or with the deck, you will also receive the PDF version as a FREE bonus! But note that this offer cannot be used retroactively if you purchase the PDF version first and the hard copy later. Sorry, no refunds. 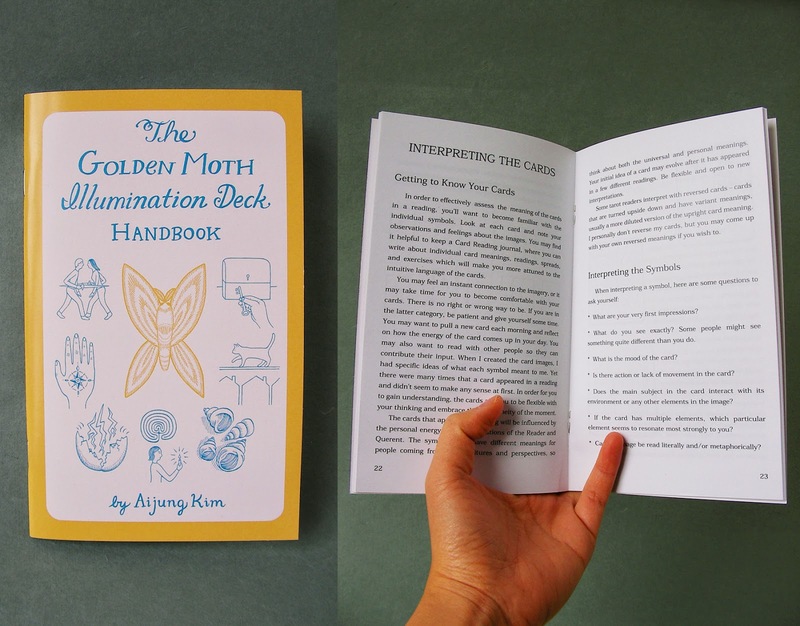 I'm giving away Golden Moth Illumination Decks + Handbooks to TWO lucky winners! Giveaway ends on the evening (Eastern Standard Time) of Sunday, December 14th. 1. 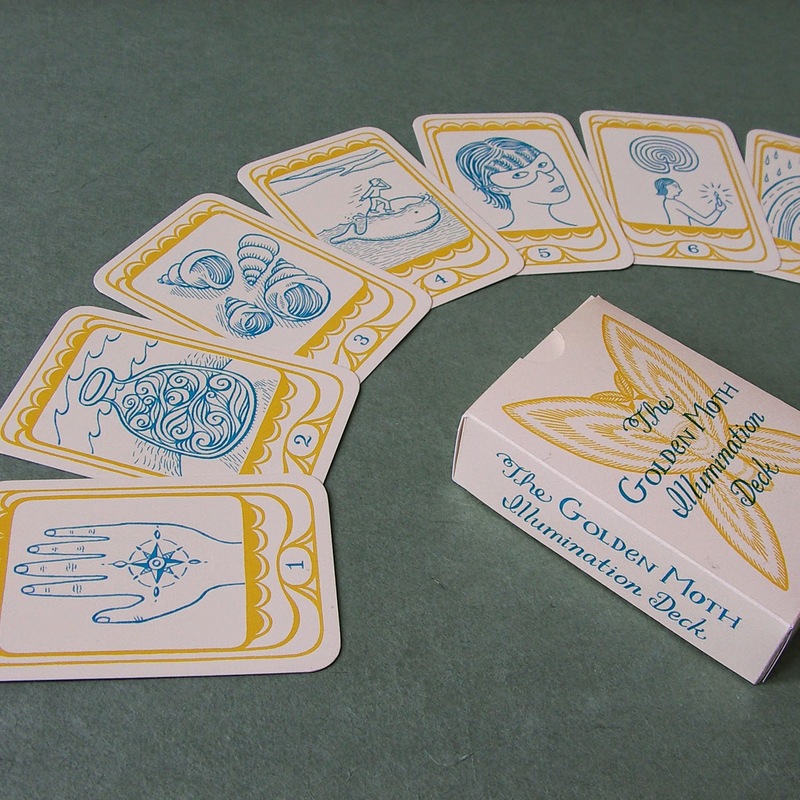 Leave a comment on the blog about why this deck should be yours (or gifted to a friend, if you so desire). 2. Check this blog on the evening (EST) of Monday, December 15th to find out if you've won. If you aren't subscribed to my blog or might forget to check back, please leave your e-mail address in your comment, but put some spaces between the words so the spam-bots don't steal it. I need a way to reach you if you win - VERY IMPORTANT! 3. If you know of someone who would be interested in this giveaway, please SHARE! I will be sharing this giveaway on my Golden Moth Blog, Sprout Head Facebook Page, Golden Moth Facebook Page, and Instagram. Pick your favorite social media link! If you don't want to take your chances with the giveaway, how about taking 15% off your total purchase in my online shop, Sprout Head? Through Sunday, December 14th, use coupon code HOLIDAY2014 HAPPY2014 upon checkout to receive your discount. (The HOLIDAY code had a minimum order requirement, the HAPPY one does not!) You must enter the coupon upon checkout or you won't get your discount - it does not happen automatically.